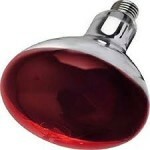 Incandescent heat lamps create a large inrush current when first powered on. Limiting heat lamp inrush current prevents relay damage and extends lamp life. Heat lamps can be used to warm enclosed areas such as livestock pens and chicken coops. Banks of incandescent heat lamps are mounted overhead. As the number of heat lamps increases, limiting heat lamp inrush current becomes more important. Over current can damage relay contacts in control circuits. 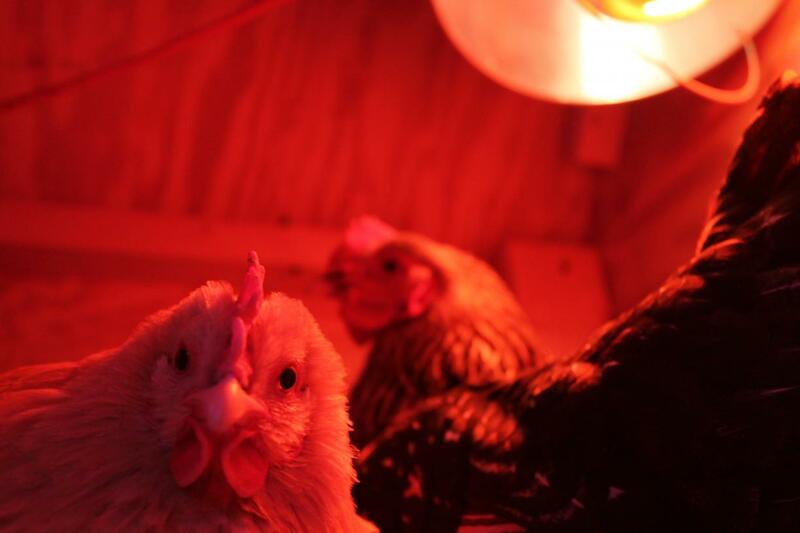 A customer of ours installed heat lamps in a commercial chicken coop. He used four 250W heat lamps on 20A circuit and found that pitting and sticking of the 20A relay contacts had occurred. 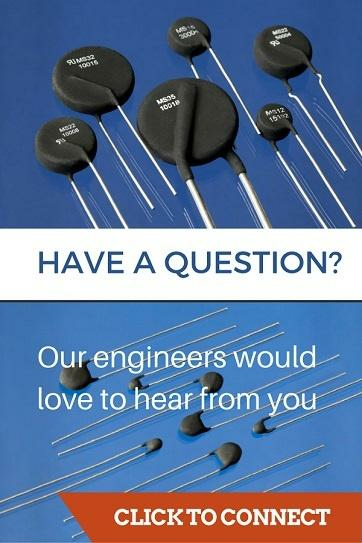 This prompted him to call us for advice regarding the inrush current problem. A cold incandescent lamp has a low resistance but as the tungsten filament heats the resistance increases dramatically. After an incandescent heat lamp is powered on the filament takes only one tenth of a second to reach over 6,000 degrees Fahrenheit. During this time the resistance increases to 15 times that of the cold filament. A single 5″ R40 reflective heat lamp which is rated at 250 watts and 120 VAC has a hot resistance of 58 ohms and a steady state current of just over 2 amps. However each lamp will produce an inrush current of around 31 amps for one tenth of a second when power is turned on. The customer’s four lamps created a combined inrush current of 125 amps. He needed a way to limit inrush current to 20 amps for each branch to prevent damage to the relay contacts. We calculated the requirements for limiting inrush current of each lamp to 5 amps. Limiting inrush current saved the relay contacts and warmed the chicken coop.